I read a story about a young woman around my age fighting the condition I have, I felt compelled to reach out and connect with her at an unspoken level. Though its through a thousand words, it’s the in-between, the nod that I know her agony. I wrote some of this for her, I expanded it since because I believe we all need that nod. What ever anyone’s going through, words from a different perspective sometimes helps. That woman was Megan, she won against her storm and now everyday she is a little brighter. I’ve taken bits out that where for her and made it more encompassing. I’m hoping this may be of some encouragement or at least some understanding. I may be preaching to the choir but sometimes it takes another to realize the depth of our story. I have suffered from MALS or Celiac axis syndrome for 9 years, it started in Iraq during deployment and the VA could never put forth effort to try, until I went public. We all have our battles, we all have our sufferings. Whatever suffering a person is in, it may be their worst, their darkest. We all have our own pain. But I see a difference in pain and suffering. What I’m talking about isn’t the outward exposed pain, it’s the darker, heavier secret place we all have when we are alone. A torment that sits and approaches your thoughts when your support and motion go home and the silence sets. When others are asleep and your lying-in bed. A moment of remembrance of past pains and struggles to come. The dauntless stretch of time tethered to your quiet agony. That’s what I want to talk about. I want to talk to whoever connects with this to tell them it’s not in vain, there is worth. You have worth. The suffering will end, and you’ll be better for it. I thought I knew suffering when I broke my femur and fibula and was without a cast for 2 weeks. I thought I knew suffering when I was training to become a warrior, to be the best infantry in the world. I thought I knew suffering when I first stepped foot into a war zone with 120-degree blazing heat and heavy armor. I thought I knew suffering training among the Special Forces with a stress fractured back, trudging through the freezing chest deep swamp water, with 90 pounds of gear in the haze of whipping wind sleet and rain. All with a spasming back and no way out but through. After miles of walking through sand and hills in damp in agony, numbing pain from the frozen ghostly hand of bitter nature and all its guile’s. I still did not know suffering; to me this condition is suffering. You may know suffering as well as I know it. I have learned from it. Pain is a reminder of life, it’s just a battle in the longer journey. Pain lets you know you are living, but it can be chaotic and tenebrous at times. It is however, different from suffering. Suffering is a war in which pain is fought, it is the shadow of life. It ruins moods, makes nice dinners dreadful, makes silence inexorable and experiences agonizing. Some days it destroys you and others you can rage against it. It kicks you while you’re down, it can make you feel hopeless, angry, depressed that this will be with you forever. Day by day it takes a part of you while you are desperately holding onto something, anything. It taunts you in the lulls between battles, and during your pain you want nothing else but to go back to a time when your world was different, before the torment. You can be defeated by suffering and pain, I don’t know you, but I know the silence when your alone and in agony. The torment that goes on in your mind’s eye, the taunting of endless suffering and the dark weight or shadow lingering ahead. Suffering is only life’s shadow, defeat this and you will be unstoppable. Suffering may be the darkest shadow our lives have yet faced. But without shadows there can be no depth, no elegance, no art. It defines us. Gives life perspective and clarity others might not have. It makes us unique. I like analogies, probably too much. But picture this picture really quick for me; There is a long dim wall of frames and pictures within them. You approach the only one under the light. 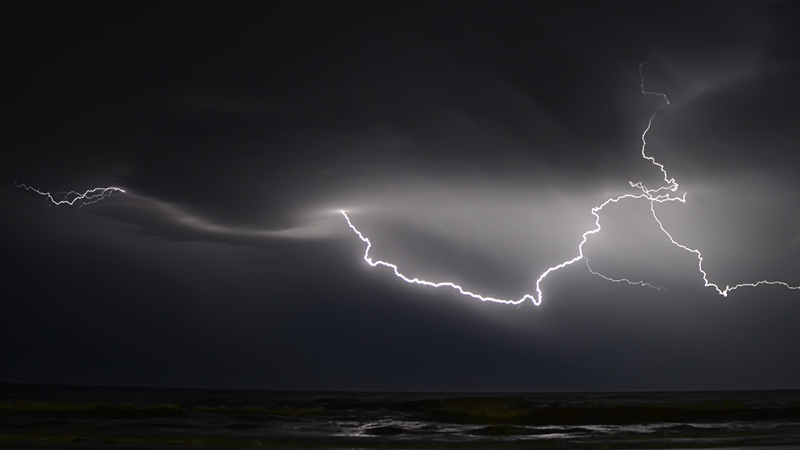 It’s dark, clouds are raging, the ocean angry, white mist from the clashing waves and wind litter the canvas. There in the center, a 17th century ship on the rough seas. Full of sailors doing their jobs and sailing further into the storm. There seems to be no end in sight, endless darkness behind endless darkness, but the ship does not waver. This storm has to be it’s worst, it’s tearing this ship apart. But you can see it still floats, afraid or not they are there, steadfast in the anguish ahead. 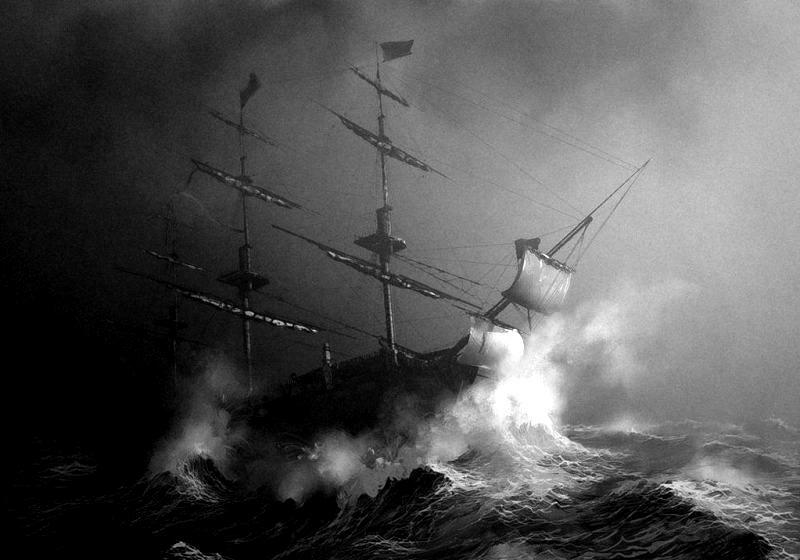 When in a storm there isn’t much a ship can do, it battles the seas and batters the waves. It cannot turn around, if it did it could capsize. The ship not knowing which way the storm is going, may stay in the storm much longer if they turn half way into the torment. The sailors can’t hunker down, try to wait it out. If they did, the ship would surely sink or steer aimlessly in the roaring gale. They must find a mark and stay as straight and strong as possible. The only way out of suffering is through it. With the help of others and the perseverance and fortitude of the ship, they are now more experienced to take on the next storm if it ever comes. You’ll gain experience and with that can lend aid to others found in bad waters. It will pass, all of it. You’ll move on to the next frame on the wall, storm or not you’ll appreciate it even more. You hold on to whatever spark or mad will you can find, and you hold on as tight as you can. You rage against this and you’ll become better because of it. So will the people around you and that helped you. What has helped me for the last 9 years of thinking I suffered alone, was a poem from Hemingway. And I hope it helps your fight, at least a little. You are your own warrior, wear it with pride. You aren’t done yet. Fight on. Find your mark, steadfast and sail on. Next PostA Humming Mind and Gold Fish.